Exclusive Events Ghana, organizers of Miss Ghana pageant have “gladly” accepted the resignation of 2017 Queen, Margaret Dery. The organizers, in a press release sighted by Cypress Ghana claim they only got to know about Dery’s resignation through the media. Margaret Dery, winner of the 2017 edition of Miss Ghana beauty pageant has resigned her post. 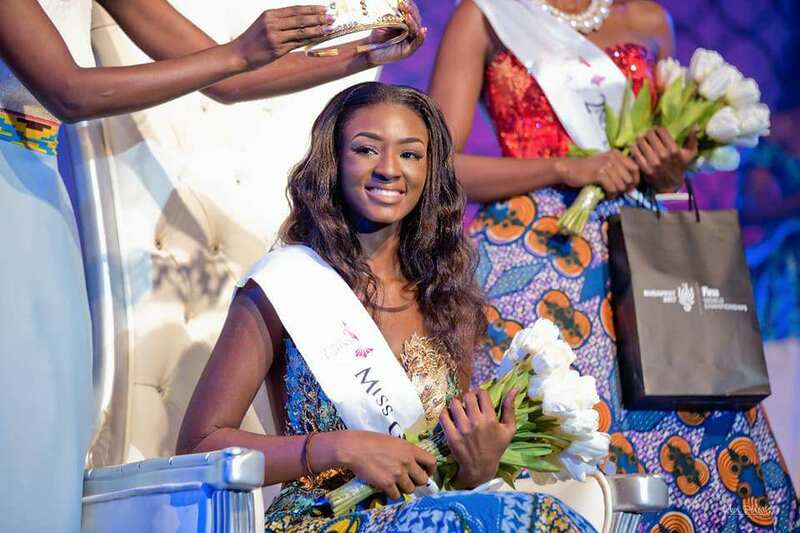 She is said to have sent an email to the management of Exclusive Events Ghana, organizers of the pageant to officially inform them of her decision. The decision comes days after she tweeted that winning the crown is the worse experience of her life. Cypress Ghana is told, Dery tried months ago to vacate her post but was compelled by her family to hold on. Organizers tried to salvage the issue with a last minute effort to no avail. Dery missed out on a recent commissioning of a water project and donation to the Babuli Witch Camp in Gushegu in the Northern Region. The project was attended by Afua Asieduwaa Akrofi, 1st runner-up at the 2015 edition of the pageant. Meanwhile, Exclusive Events Ghana is set to launch the 2018 edition of the pageant on Thursday, August 2.